Do you like house cleaning games simulator? 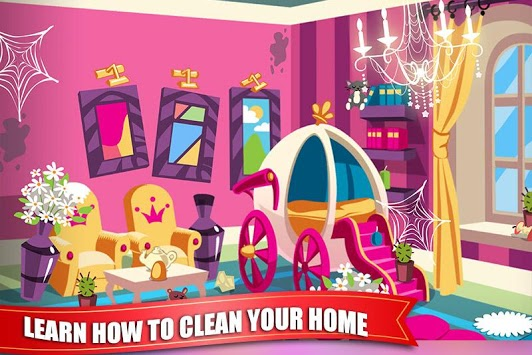 Then play this Princess Doll House Cleaning Game for Girls which is best doll house cleaning game. You have a princess room to clean up, bathroom cleaning, messy wardrobe cleaning and dining room clean tasks. Choose your favorite fashion doll for all house cleaning duties and earn maximum scores in our doll house cleaning games with levels. First, clean up all the rooms of your house from the kitchen to the bedroom. Wipe up dust, vacuum the floors, and throw away junk! Leave nothing dirty and fix anything that’s broken with princess baby doll. 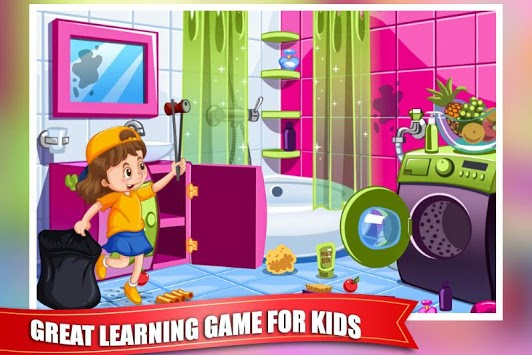 If you are looking for cleaning games with lots of levels then this doll house cleaning game for kids with fun fashion doll is here to entertain you. Our dream house for dolls is a real palace that needs a full cleaning, so start your cleaning day right now in cleaning games! 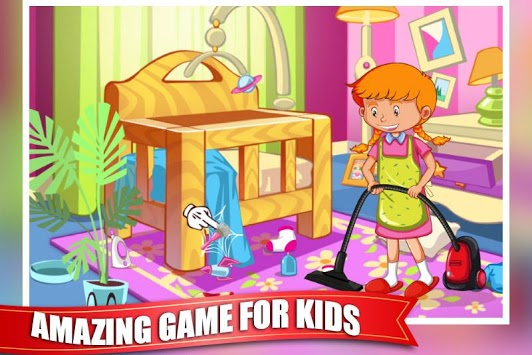 Doll House Cleaning Game with doll princess room is the ideal fun and entertaining game that will teach you about housework and cleaning process of messy places of house. Clean up the whole house, from the cutest princess bedroom to royal bathroom and luxury kitchen with dining room Create your own dream house by performing the biggest home makeover in our free Doll House Cleaning Game has incredible features that will make house cleaning more fun than ever before. Start your fashion princess doll home cleaning busy day tasks from your princess bedroom and wipe up all dusty areas of royal bedroom of princess doll. 1. Use interactive controls to select items and keep on right place. 2. Clean up dirty rooms & clean junk. 3. Use hint to see cleaned room. 4. Complete all missions & make perfect clean house. - Variety of rooms to clean including bedroom, living room, kitchen, bathroom and fashion makeup room. - Baby princess doll character for house cleaning task. - Clean up games will teach you about housework chores. - Clean up rooms from a broom, mop, sponge, duster & more. - A complete home cleaning game with levels.